This must be Valhalla for movie addicts like me. Founded in the thirties last century, the Royal Movie Archive started to build one of the most important quality movie collections in the world. The good thing for us? 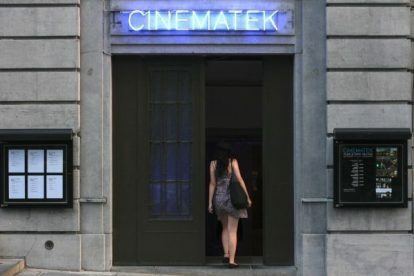 They are more than happy to share their treasure with us, via the recently renovated Cinematek. With classics, rare cult movies, experimental cinema, directors/actors or genres in the spotlight they provide us a nice mix of very old to more recent highlights of movie history. Tickets are quite cheap, € 4 for a movie and can be be bought online. On busy nights some movies (popular classics) do sell out sometimes, so it’s advisable to buy your ticket upfront. Other option is to make a phone reservation, but be sure to collect those at the latest 30 minutes before the movie starts, if you arrive later they might be on sale again. Subtitles often are in Dutch/French, so you might be limited to English spoken movies. Don’t worry, we don’t ‘dub’ those in our languages.